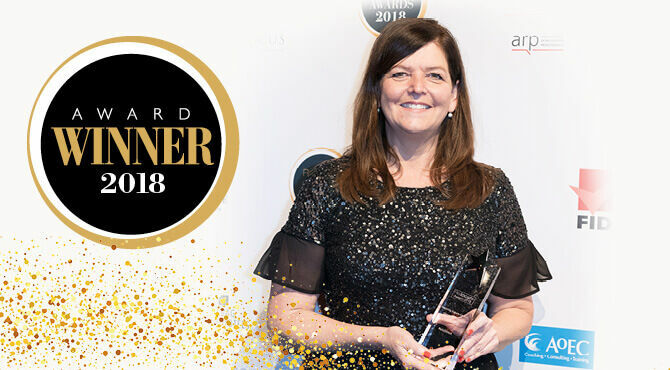 The first ever Relocate Global award for Inspiring Future Careers – Corporate Social Responsibility was won by relocation management company RELO Direct® for nurturing future talent through its partnership with US children’s welfare agency Kaleidoscope. Effective human and financial resource allocation remains a key concern across many business sectors. Through its engagement with Kaleidoscope’s Find Your Future (FYF) programme, RELO Direct has been able to actively support the communities it works with while creatively bolstering its own entry-level talent pool. The partnership both facilitates and provides business-ready talent equivalent to a traditional college-level internship. From a financial resources perspective, the FYF programme offers a cost-effective option to the company, while the intern earns a market-rate wage. From an HR perspective, staff are easily able to integrate the interns into the company with a well-defined plan that allows existing high-value talent to focus attention on the seasonally increased demands of the customer, whilst being assured that the administrative functions of their jobs were being tended to. Impressed by the value of the partnership, the judges remarked, “By showing fantastic corporate social responsibility, RELO Direct is making a big difference working with Kaleidoscope’s FYF programme to provide vocational training and internships and help prepare at risk young adults for their working careers. By using the internship scheme, the company has been able to expose students to the many facets of the relocation industry early on. In addition, the programme offers each intern with a mentor dedicated to ensuring a positive and valuable experience while contributing to their client services team. The scheme also provides enrichment activities like visiting their office for a day and informational interviews with various department heads. Interns are also coached on how to conduct the interviews, as well as learning about various roles in the field of corporate relocation to inspire them to learn about a career that they might not have otherwise considered. “As a result of the initiative, 100 per cent of our interns have either graduated and are currently employed in human resources, or are continuing their studies. Best of all, we have started to develop a talent pipeline and recently hired a former FYF intern who has become a rising star in our company. In fact, we have had several employee-led initiatives to further support the organisation,” adds Bob Portale, CEO and president at RELO Direct. As technology begins to play a larger role in the delivery of relocation management services, the FYF programme interns have been given managed access to RELO Direct’s system to better understand how the internal management software integrates with its customer-facing web platforms. This is in addition to gaining expertise within the Microsoft suite of programmes. More recently, the company launched an initiative to provide needs assessments via video between client services and relocating employees and hired an FYF intern into a full-time, permanent position to start work within that system to deliver service in this new environment. “Earning the award has been especially gratifying because it is representative of how we approach our business – with a focus on leadership, collaboration, and giving back,” said Mr Portale.